Turbo – Top 10 Snail Facts! 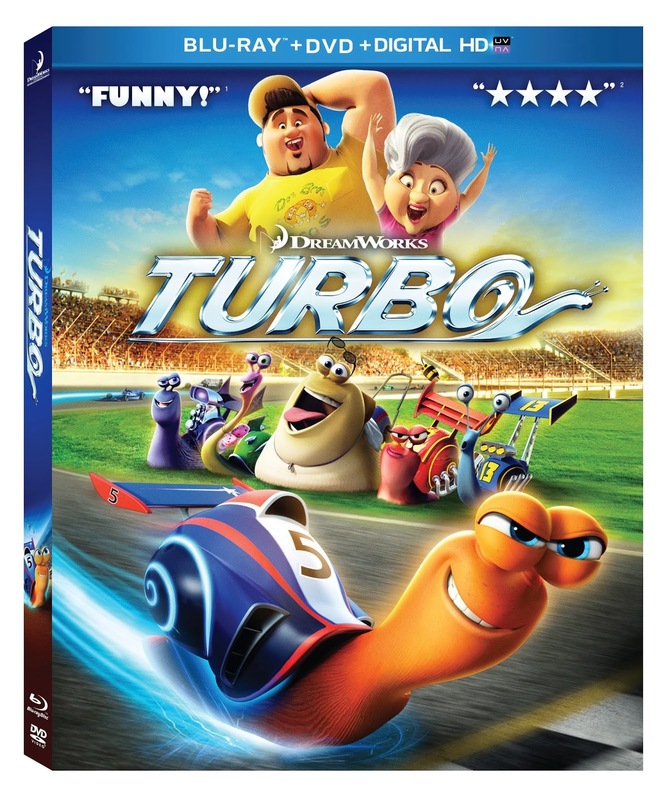 Buckle up for Turbo, coming to DVD and Blu-ray November 12! Start your November engines with this hilarious, heartfelt comedy-adventure! 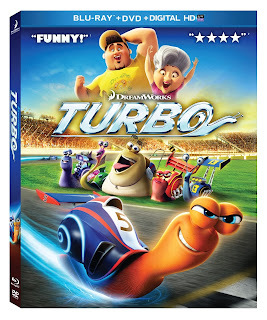 Turbo, a four-star family film, tells the courageous story of a little snail with the big dreams of becoming a racecar. 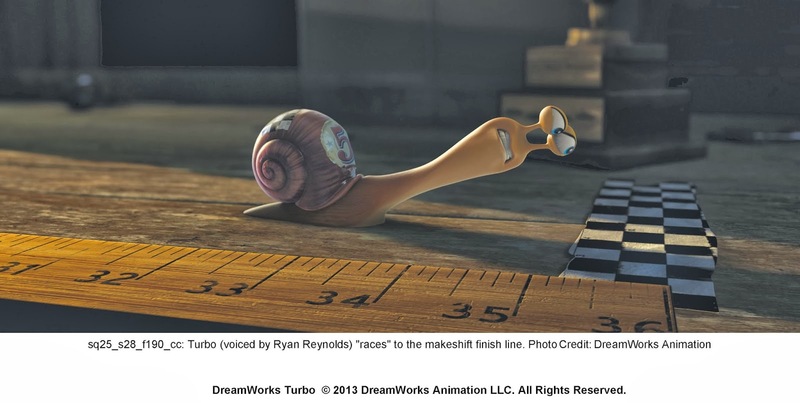 Despite the discouragement he receives from his peers, Turbo knows what he is capable of. With amazingly creative celebrity performances by Ryan Reynolds, Snoop Dog, Samuel L. Jackson and Maya Rudolph, this film is nothing short of incredible! Zoom into stores on November 12 to pick up your copy for the holiday season! 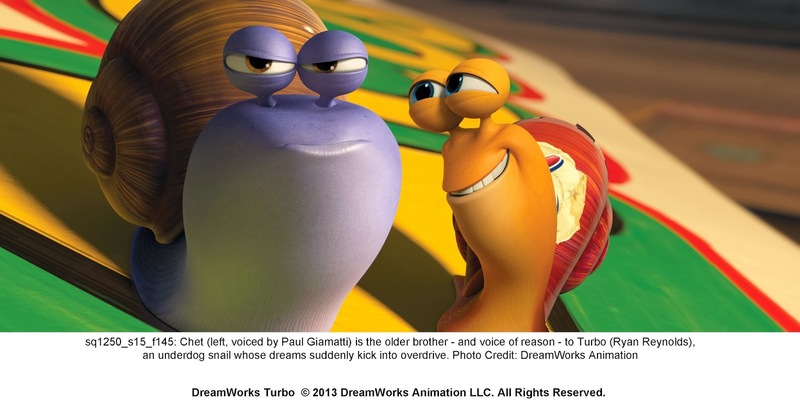 To help you prepare for the film’s release, we’ve compiled a list of some fun snail facts so you can understand the ins and outs of Turbo and his gang! 1. Salt is a snail’s biggest enemy! In the film, Chet falls down the stadium and just barely makes it through the center of a pretzel! He was so relieved he didn’t touch it, because salt can kill a snail, so they have to be careful! 2. It would take a snail 2 hours to move from one side of a football field to the other. That’s 50 yards per hour. If you ran your fastest, it would only take about 20 seconds! 3. Some snails can be as big as 12 inches. 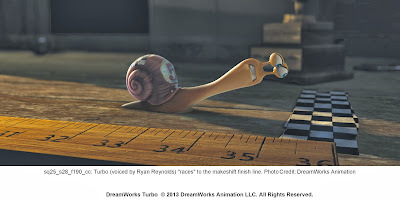 Can you imagine a snail the size of a ruler? 4. Garden snails have thousands of teeth, located on their tongue! 5. 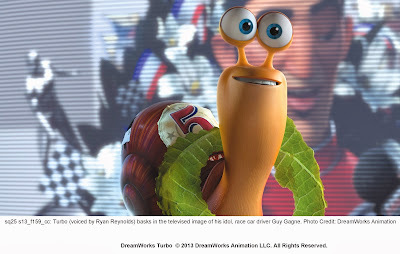 Snails do not have ears, but they sure can smell! That is how they find their fruits and veggies to eat. 6. Snails can live to be up to 20 years old! 7. Snails are nocturnal, that means they sleep during the day and get their work done at night and in the morning. No wonder Turbo could stay up all night watching Racecar videos! 8. A garden snail can have as many as 430 baby snails in a year! 9. Garden snails hibernate in their shells during the winter, and some hibernate during the summer too. 10. When a snail moves, it leaves behind a trail of liquid slime. This mucus protects them from the hard surfaces underneath them. Snails are able to hang onto walls and move upside down thanks to this slime! 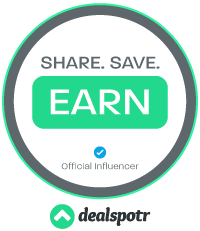 READ THE TERMS AT THE BOTTOM OF THE FORM FOR FULL RULES. It would be great to win the Turbo Blu-ray/DVD Combo Pack. 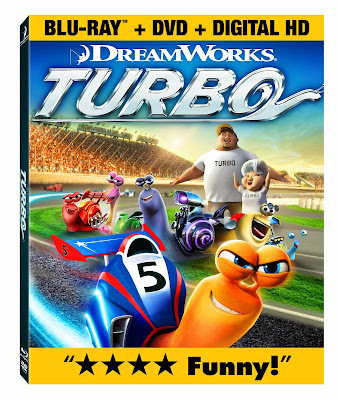 What is your favorite Dreamworks movie? My favorite would probably be Monsters Vs. Aliens. My favorite is probably Shrek. HOw to Train Your Dragon is our favourite DreamWorks movie. Shrek is a family favourite. Antz is one of our favorite Dreamworks films! Thanks!